Luxury vinyl flooring has so much to offer to any residential space and we’re here to tell you what that includes! You have hardwood that’s elegant, carpeting that’s nice and soft, and laminate that’s easy to maintain; and then you have luxury vinyl floors that are the cream of the crop! These floors are advanced beyond their years as 3D imaging technology can replicate natural materials such as stone or wood, making it hard to tell it’s not even real! Luxury vinyl flooring is just that- luxurious. If you want to give your guests a lasting impression on your home, consider adding this material to ensure perfection underfoot. Not only will this versatile type of floor look great in any room, it will look great for years to come, requiring little to no maintenance. Easy to install: it can fasten to the subfloor of any room in your home, including the basement. It can even be installed over existing flooring. It is light-weight, making it easier to work with. Plenty of design options: If you want the look of ceramic tile, limestone, marble, or hardwood, without paying for it, consider luxury vinyl that uses 3D imaging technology to replicate these natural materials. Softer underfoot: You’ll feel the difference right away! Noise reduction: Enjoy a quieter home, from room to room. Healthier living conditions: With its antimicrobial surface, it kills bacteria on contact. Affordable cost: Although it’s not the cheapest flooring option, it’s not the most expensive either. In other words, you get what you pay for. Easy to clean and care for: All you need to do is sweep and mop for cleaner results. Spill resistant: It is ideal for kitchens and bathrooms as it resists liquids from spills. It’s a strong flooring option in rooms where spills most often occur or moisture is expected. Every homeowner wants floors that are easy to maintain, long-lasting, and affordable, so if you’re in search of the most perfect type of flooring, consider luxury vinyl flooring. You’re sure to enjoy all of these benefits and many others. 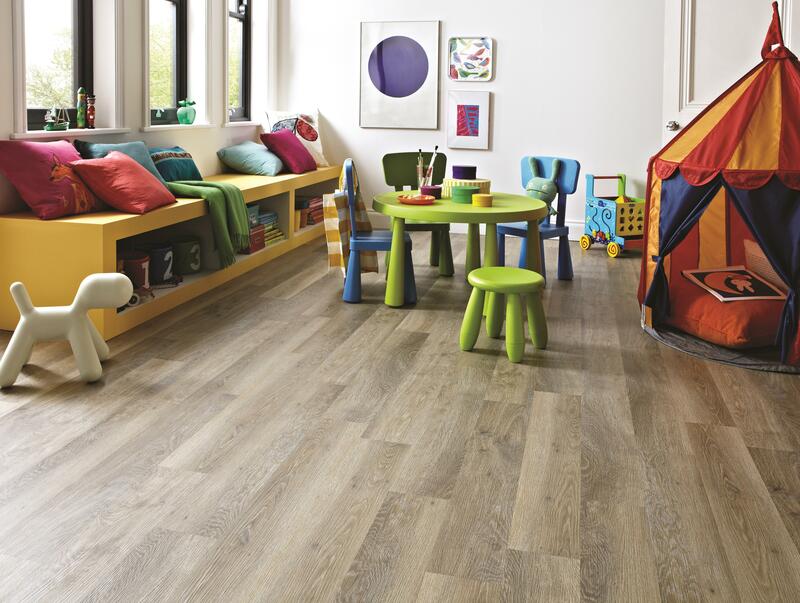 Call Bode Floors to learn more about our luxury vinyl tile flooring selection and installation process.